If you have been in the church for any period of time, you are sure to know something about John the Baptist. As a child in church, I was riveted by the story of John the Baptist and how he lived out in the wilderness, wore strange clothes and ate grasshoppers (well, really locusts, but we did not have those in Colorado)! Eeww! But beyond his eccentricities, we often do not take much time to reflect on this most significant figure and what his example might mean for us. John the Baptist is in one sense a singular, unique and distinguished person in the history of the world; but in another sense he is most instructive for believers in Jesus Christ. Just as John the Baptist was a voice that cried out, so also, we are to lift up our voices to prepare for the coming of the Lord. As far as I can discern, none of us have specific, individual prophecies about us in the Old Testament. Scripture teaches that John is prophesied, even if cryptically, in the book of Malachi. The Lord calls this coming one, “My messenger” (Malachi 3:1), and “Elijah the prophet” (4:5). More than these titles for John the Baptist are his significant roles. He would “clear the way before” the Lord Jesus Christ (3:1), and “turn the hearts of the fathers to their children and the hearts of the children to their fathers, so that [the Lord] will not come and smite the land with a curse” (4:6). That is, John the Baptist would prepare the people for the coming of the Lord Jesus Christ, and bring them to repentance. We see this unique prophetic role in Isaiah 40 as well—a prophecy which precedes Malachi by about 300 years. Isaiah describes “a voice” which calls out, “Clear the way for the Lord in the wilderness” (40:3). The Gospels make clear that this is a reference to John the Baptist—one in the wilderness preparing the way of the Lord (Matt. 3:3, Mark 1:3, Luke 3:4, John 1:23). John the Baptist was clearly a unique figure described by the Old Testament prophets, and one who would prepare the way of the Lord. Just like the prophetic passages which point to John the Baptist, so also, the historical circumstances of John the Baptist are unique to him. The details of his life are more detailed than this sketch can contain (for the Gospels’ descriptions of him, see list below). John the Baptist’s mother, Elizabeth was related to Mary, the mother of Jesus (cf. Luke 1:36 where the relation is not exactly clear in Greek). Perhaps John and Jesus were cousins. When Mary was pregnant with Jesus, she went to visit Elizabeth who was pregnant with John the Baptist. At the sound of the voice of Mary, John leapt in her womb for joy. Not only was there a family relationship between Jesus and John, but there was also a very special bond between the two—a bond which we know nothing about from this prescient early encounter until we find them as adults during the peak of John the Baptist’s ministry when they were both about 30 years old. John had left civilization to live a life of poverty in order to preach the Gospel of repentance. He wore clothing made of camel’s hair and ate locusts and wild honey—a bit of a hippie of his day. People from the cities flocked to hear the eccentric and apparently riveting preacher, and many came to be baptized by him. When inquirers asked him who he was and how he fit into Old Testament prophecy, he deflected the question, and pointed to the coming Messiah. This very Messiah, Jesus, came to the wilderness to be baptized by John the Baptist, and John called out prophetically—and surely by the Holy Spirit—“Behold the Lamb of God who takes away the sin of the world!” The locust-eating prophet proceeded to reluctantly baptize Him. Certainly John was unique in that he seemed to understand what Jesus had come to do, and he was unique in the history of the world as the person who baptized Jesus. After the baptism of Jesus, John falls off the story line as Jesus takes center stage in the Gospels—just as John would have wanted it. But the way in which the Gospels of Mark and Luke return to John the Baptist is perhaps instructive for the ways in which he is similar to believers in Jesus Christ. The events which Mark and Luke describe could be chalked up to the chronological sequence of events, but Scripture is so often much more intentional than simply stating chronological sequence. Indeed, it seems that the chronological sequence itself is divinely orchestrated to communicate a point. In Mark 6 and Luke 9, the story of the death of John the Baptist by beheading is sandwiched in the midst of the story of the disciples being sent out by the Lord Jesus Christ to minister in the surrounding villages. That is, both recount that the disciples are sent out, followed by the story of the death of John, and it is concluded with the return of the disciples to Jesus. So what is the point? Perhaps the Gospels are suggesting that the ministry which was John the Baptist's would continue on after the death of John to the ministry of the disciples of Jesus Christ. So John the Baptist was not only a unique figure pointing to Jesus, but he is a model of sorts which disciples of Jesus Christ continue to fulfill in the kingdom of God. But if this assertion is correct, and the ministry of John the Baptist is transferred to us who believe, then we must ask the questions: What is the ministry of John the Baptist? And how are we to fulfill this ministry today? We see a glimpse into the ministry of John the Baptist in Isaiah 40:3-4 which the New Testament attributes to him. In this prophecy, we find that his ministry is one which clears the way in the wilderness and makes the desert highways smooth. The language suggests that this messenger would make the roads navigable for the coming Lord. But in addition, the language is more specifically pointing to a king's messenger, or even an ambassador, declaring the coming of the king. This is why John the Baptist deflects the attention from himself to the coming One. He knows that there is one greater than he. As believers in Jesus Christ, we too are “ambassadors for Christ” (2 Corinthians 5:20), declaring the greatness of our King and His coming kingdom. We are making roads smooth which lead into every city, village, house and heart so that the Lord Jesus, the King of kings, might come and establish His kingdom throughout every corner of the earth. We would do well to learn from John the Baptist as his ministry transfers to the disciples of Jesus Christ, One of far more importance than us. Not only did John prepare the road for the coming of the Lord, but he prepared the people for the coming of the Lord. John’s ministry was to “bring back” the hearts of the people through his ministry of the baptism of repentance for the forgiveness of sins. His message against hypocrisy and false religion was unrelenting and quite bold. He accepted religion which was no less than faithful obedience. Like the ministry of Jesus, it was rejected by those who thought they were religious (the Pharisees and Sadducees), but accepted by those who knew they needed repentance. The tax-collectors and soldiers—who were notorious for taking money from people—asked John what they should do to repent. John encouraged them to live righteously, not taking what was not theirs. John’s boldness extended beyond the religious sphere and spoke to the Roman political powers which precipitated his own imprisonment and death. History tells us that Roman tetrarch, Herod Antipas had left his wife and married his half-brother’s wife. John the Baptist publicly denounced the unlawful and immoral marriage. This confrontational approach led to his arrest. Even though Herod was afraid of John the Baptist politically, Scripture tells us that he enjoyed listening to him, so would call for him to talk. John did not pass up the opportunity to further reprimand Herod to his face even though it ultimately led to his beheading. We too are called to such a task. When Jesus meets with His disciples after His resurrection, He explains that He is indeed the fulfillment of the Scriptures, and that as a result, "repentance for forgiveness of sins would be proclaimed in His name to all the nations" (Luke 24:47). We are called to proclaim this repentance throughout the world. We are to call people from their lives of sin and darkness toward righteousness and light in Christ. And not only are we to do this with non-believers, but with believers as we "restore" one another from our sins in a spirit of gentleness (Gal. 6:1). And so the ministry of John the Baptist continues on in the lives of the disciples of Jesus Christ. 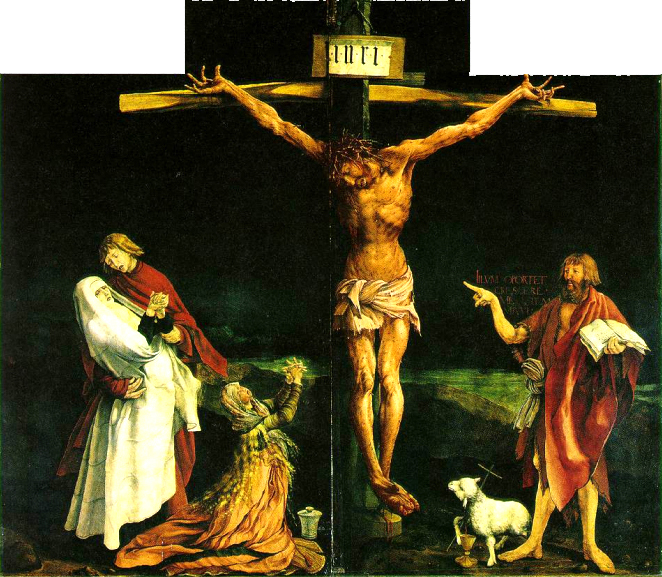 Fifteenth century artist Matthias Grunewald painted a graphic depiction of the Crucifixion of Jesus. In the classic painting, we can see Mary Magdalene, Mary the mother of Jesus, and the disciple John grieving greatly over the crucifixion. But the right side of the painting is dominated by somber, though not grieving, John the Baptist—a man who had been beheaded several months or years before the death of Jesus. 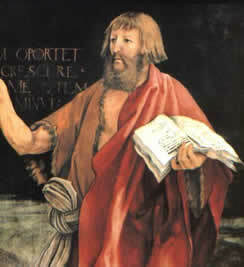 In his left hand, he is holding the Jewish Scriptures. The dominant feature of John the Baptist, however, is his long, boney, right finger which points to the Crucified Christ. The painting itself encapsulates the life and ministry of John the Baptist. 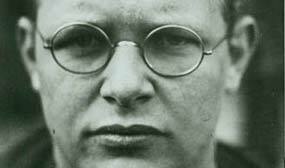 He lived his life preparing the way for the Lord, and bringing the people back to Him. He did this most successfully in the fact that he was always pointing away from himself toward Christ. Indeed, the Gospel of John tells us that at one point when John the Baptist saw Jesus, he declared to his disciples, "Behold, the Lamb of God!" This declaration which pointed his disciples to Jesus promptly led two of the disciples to leave John to follow Jesus. This is the ministry which was John the Baptist’s. But it is not only his. It is the ministry to which believers in Jesus Christ are called—pointing away from ourselves to Him who takes away the sin of the world. It is because of this most important ministry that we are all called to, that we can say with John the Baptist, Jesus “must increase, but I must decrease” (John 3:30). After John the Baptist had died, and the ministry of Jesus was at the forefront, people began to wonder, “Is Jesus somehow just John the Baptist raised from the dead?” Of course it was not. But the fact that people began to make such comparisons suggests that the two had an uncanny resemblance in message, life and ministry. Our perspective today is a bit different. When Jesus walked the land of Palestine, the people’s frame of reference for comparison was Moses, Elijah, and more on their mind, John the Baptist. They put Jesus within their framework. Even more than there being a resemblance between John the Baptist and Jesus, believers in the Lord Jesus Christ—the Church—the very body of Jesus Christ—are to resemble Him in all that they do. Indeed, we are being “conformed into the image” of Christ (Romans 8:29). So, when people see how we act, hear how we talk, and see the ministry in which we take part, it should point people to the life, ministry and work of Jesus Christ. The life and ministry of John the Baptist is both unique in the history of the world, as well as instructive for believers in Jesus Christ. Not only was he a person prefigured in the Old Testament and had a unique historical placement, but he demonstrates for us a life which prepares the way of the Lord, calls people to prepare for the coming of the Lord, and points to and resembles Jesus. He is indeed a prophet who calls on us to be voices which cry out, making way for the coming of the Lord. Interested in HARD ROCK? How about KISS? The band is on a tour this year all across Canada and USA. Visit http://distinctivecigar.com/product/the-royale-series-cigar-ashtray-antique-brown-brazilian-granite/ to know more about KISS concert in 2019. Interested in HARD ROCK? How about Kiss band? They are on a tour right now all across the US. Visit KISS Tickets Syracuse to know more about KISS ticket price in 2019.